The National Center on Disability and Journalism at Arizona State University’s Walter Cronkite School of Journalism and Mass Communication is now accepting entries for the 2019 Katherine Schneider Journalism Award for Excellence in Reporting on Disability, the only journalism contest devoted exclusively to disability coverage. Winners will receive a total of $17,000 in cash awards for first-, second- and third-place finishes in large media and small media categories. First-place winners in each category will be awarded $5,000 and are invited to the Cronkite School to give a public lecture in fall 2019. Second-place winners will receive $2,000; third-place winners receive $1,000; and honorable mention winners are awarded $500. Journalists working in digital, print and broadcast media are eligible to enter. Entries are accepted from outside the U.S., although the work submitted must be in English. There is no entry fee. Entries are judged by professional journalists and experts on disability issues. Past judges have included “PBS NewsHour” anchor Judy Woodruff; Tony Coelho, former six-term U.S. congressman from California and the primary sponsor of the Americans With Disabilities Act; and former Pulitzer Prize-winning Washington Post reporter Leon Dash. The 2018 winners included journalists from National Public Radio; Dallas Morning News; ProPublica; WNYC/New York Public Radio; Kaiser Health News; KING Television, Seattle; WBEZ Chicago Public Media; and New Mobility Magazine. 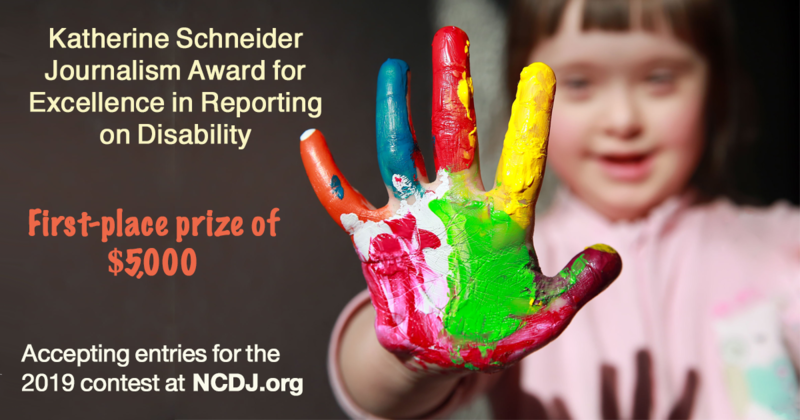 The Katherine Schneider Journalism Award for Excellence in Reporting on Disability is administered each year by the NCDJ. It is supported by a gift from Katherine Schneider, a retired clinical psychologist who also supports the Schneider Family Book Award, honoring the best children’s book each year that captures the disability experience for children and adolescents. That award is administered by the American Library Association. 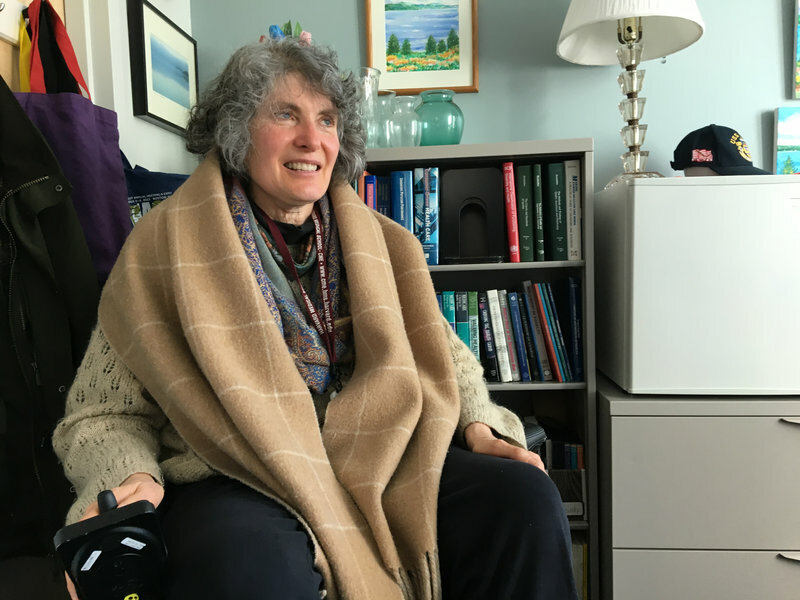 Schneider, who has been blind since birth, said she hopes the award will help journalists improve their coverage of disability issues, moving beyond “inspirational” stories that don’t accurately represent the lives of people with disabilities. 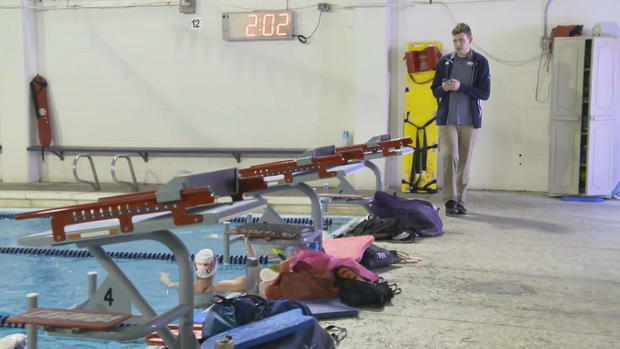 “That kind of stuff is remarkable, but that’s not life as most of us live it,” Schneider said. 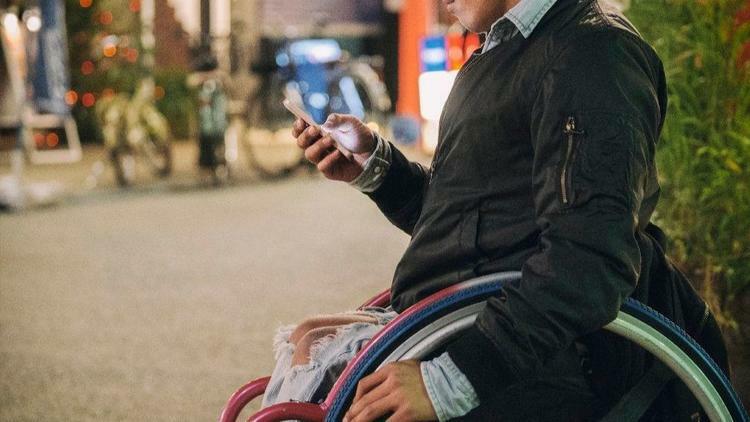 The NCDJ, which has been housed at the Cronkite School since 2008, offers resources and materials for journalists covering disability issues and topics, including a widely used disability language stylebook in both English and Spanish. 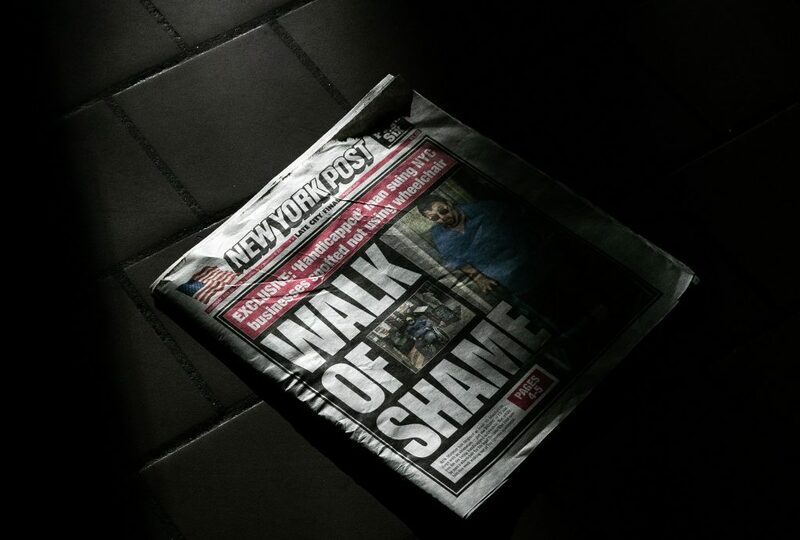 A New York Post cover story advances the harmful notion that if someone can walk, they must not have a disability writes Peter Catapano in his op-ed piece “A Front-Page Insult to People With Disabilities”. Mr. Catapano is the editor of the opinion series Disability at the New York Times. Happy New Years from the National Center for Disability and Journalism! 2018 will bring several big changes to the NCDJ including new staff, new events and new website content. Visit again soon to see the latest updates about our growing mission and in the meantime follow us on Twitter and Facebook. Nine years ago when Ruxandra Mateescu’s daughter, Olga, was born with special needs, she was stunned at the lack of information and the gaps in care. “When Olga was born I tried to look up with Google what retarded means because the doctor said when she grew up she would be retarded or maybe dead or a vegetable. He used words like that,” Mateescu said in a Skype interview. Mateescu lives in Bucharest, the capital city of Romania and is fluent in both English and Romanian. People with disabilities don’t have many rights in Romania, and much of the public is uninformed about disability issues, “like the fifties in the United States,” she said. In addition, the Romanian health care system is difficult to navigate, Mateescu said, and she couldn’t figure out where to go to get more information about her child. Even after nine years and many doctors visits, Olga has never had an official diagnosis to classify her disability. A journalist who worked for a parenting website, Mateescu did what came to her naturally: She started blogging about her daughter, their lives and the struggles she faced trying to find information and support. Other parents responded and asked her to keep writing. She now runs a website that features stories of people with disabilities and their families. Mateescu said it was taboo in her country to even talk about disabilities when she started her blog, but the situation is slowly improving. Now there are more blogs devoted to the subject and mainstream media also has begun to show interest. However, Mateescu calls most of the reporting shallow and says the focus is “on the pity element.” Pejorative language and offensive terms are still common in mainstream news both on television and in newspapers. One day Mateescu was searching the internet for resources on disability issues and she happened upon the National Center on Disability and Journalism’s style guide, which provides guidance on words and terms related to disability. She thought it would be a great help to journalists and communicators in her country, but there was a problem: The English language guide would have to be translated into Romanian. Across the world in Phoenix, Arizona, NCDJ Director Kristin Gilger said she had long hoped to have the guide, which contains almost 100 words and terms, translated into other languages. She immediately said yes. Mateescu then put out a call on social media for help. Seven volunteers responded — friends, relatives and even an English teacher who happened to be her manicurist’s husband. Together they combed through the guide. Some words didn’t translate or didn’t exist in Romanian. For those, the group did their best to supply the closest Romanian approximation. They worked quickly. It took one week to translate the guide and another to check it and get it ready for publication. Once completed, Mateescu tried to get the style guide out to as many people as possible by posting it on her website and on social media. She said she immediately starting getting “likes” and “shares.” She is now setting up meetings with journalists and parents to discuss the guide and advocate for its use by Romanian journalists. Along with improvements in language, Mateescu hopes to see more investigative stories about the lack of support and infrastructure for people with disabilities in her country. According to a report compiled by the Academic Network of European Disability Experts, 24 percent of children with disabilities in Romania are not registered for any form of education. The 24 percent includes Mateescu’s daughter, Olga. The situation isn’t much better for adults with disabilities. The same report shows that fewer than 16 percent of people with disabilities are employed. It is common for people to stop and stare at people with visible disabilities in public. And Mateescu says it’s almost impossible for people with physical disabilities to get around her home city of Bucharest. Many public buildings, busses and metro stations don’t have elevators or ramps, and most homes are difficult to get into and out of for those using wheelchairs. 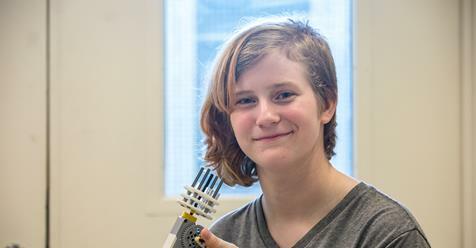 Mateescu says it is painful to think about the challenges her daughter will face when she grows up, but she tries to focus on fighting for the things she can change. 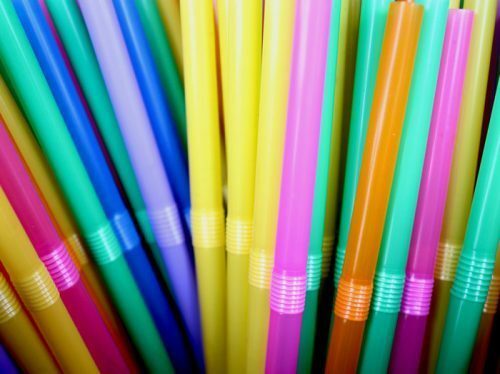 “I don’t know if my daughter will have some benefits from that, but, for sure, the next generation of parents will be much better off than my generation is now,” she said.